Having recently celebrated its tenth year in business, Pacific Smiles boasts operations across the eastern states of Australia, and continually commits to delivering outstanding patient care. CEO of Pacific Smiles John Gibbs shares with us the company’s growth, philosophy, and future and most importantly what that means for the dental patient. 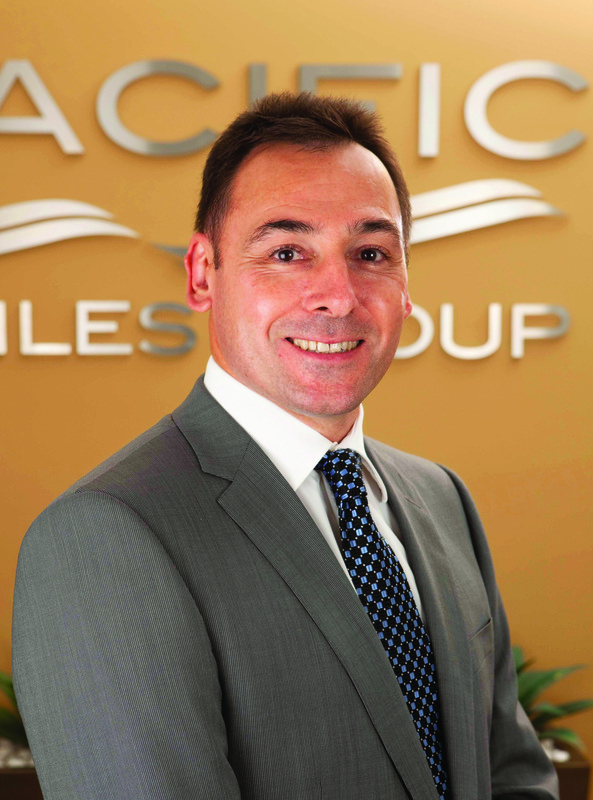 Founded by dentist Alex Abrahams, Pacific Smiles has grown from three dental practices in the Hunter Valley to 34 centres across Victoria, the Australian Capital Territory, New South Wales, and Queensland, making it the largest branded dental group in Australia. For patients, consistency in care is at the core of the Pacific Smiles Group patient promise. John says, “We refer to it as APPEx – A Perfect Patient Experience. Dental care is intensely personal and the first experience a patient has with one of our dentists is crucial”. For those dental phobics amongst us, and there are plenty of those, John says that the feedback from patients is the staff and dentists are gentle and caring..
To help keep dental treatments as affordable as possible, Pacific Smiles has recently introduced an interest free payment plan option for patients requiring a course of treatment.. The other critical focus of Pacific Smiles is convenience. Our Centres have extended opening hours to cater for the patient’s lifestyle and work commitments. For example it is possible to book an appointment on Saturday or Sunday at some centres and evening appointments on weekdays are part of the Pacific Smiles operational culture. “Oral health is so important to an individual’s overall wellbeing and that’s why all our centres strive to ensure that patients enjoy visiting the dentist for a regular checkup or, if the situation requires, more extensive treatment. .
Pacific Smiles is a corporate group, and was one of the first in this space in 2003 when the company began. Until that time dentistry was really a cottage industry however in recent times there has been a number of other corporates that have entered the scene, a number of which are purely acquisitive, acting to consolidate the industry. The creation of a multi-state branded network of dental centres is still quite unique in the dental services industry of Australia. “We’ve branded some of our centres Pacific Smiles Dental, which is a brand that we own, and some of them are nib Dental Care Centres, which is a brand we use under licence from nib health funds. “Since 2004, we have operated the nib Dental Care Centres and we have increased this branded network from 2 to 6 Centres over the last nine years. The seventh will open in Chatswood in November this year. Operationally, the Pacific Smiles Dental network and nib Dental Care Centre network are very similar. They differ in branding and in some of the arrangements for nib customers. “As we develop more dental centres under the same brand and consistently deliver on our commitment to patient care and customer service, we believe that we’ll continue to see positive impacts carrying over from one centre to another. That’s proven to be true for us in the areas where we have a number of centres like the Hunter Valley and the Central Coast of New South Wales. We’re developing similar clusters in other states and territories as well, “ says John Gibbs. You can find out more about Pacific Smiles by visiting their website www.pacificsmilesdental.com.au – new patients are always welcome. And of course now you can find and book Pacific Smiles on HealthEngine too! It’s a marketplace where consumers can find healthcare professionals all in one location.